Get notified when Portland Timbers tickets are available! 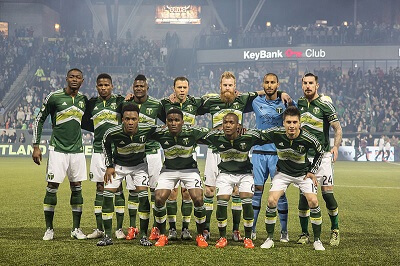 The Portland Timbers are a professional American soccer team out of Portland, Oregon. They are a member of the Major Soccer League as part of the Western Conference. The home games of the Portland Timbers are played in Providence Park in Portland, which can accommodate up to 22,000 park guests. They won the MLS Cup championship in the year 2015 and the Western Conference in 2013 and 2015. This team is the fourth soccer franchise out of Portland that shares the Timbers name. Be one of the tens of thousands of guests in Providence Park to see them play by purchasing Portland Timbers tickets with the links found above.